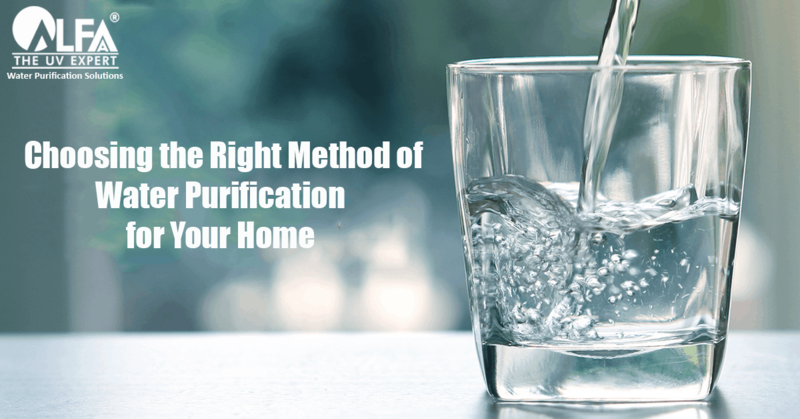 Here’s a sincere effort to educate you about the best home water purifier. 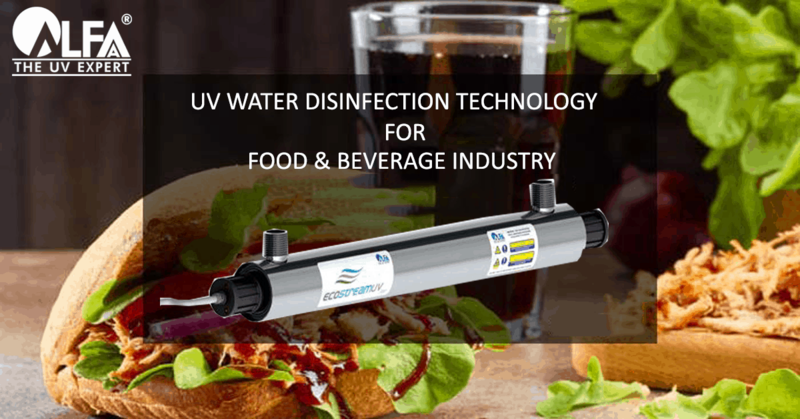 To safeguard your family’s health with safe and pure drinking water, and to support your purchase with reliable after-sales service. Without the help of expensive brand ambassadors to do the job. With a family 100,000+ delighted users and growing each year. 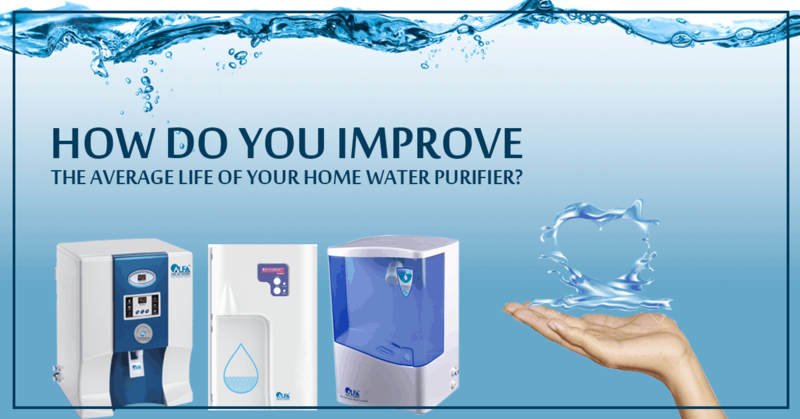 Who believe that they are indeed using the Best home water purifier that there is. 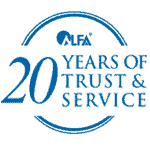 Who else trusts our quality and gives us our stamp of credibility? Well, to start with, the A to Z of the pharmaceutical industry. 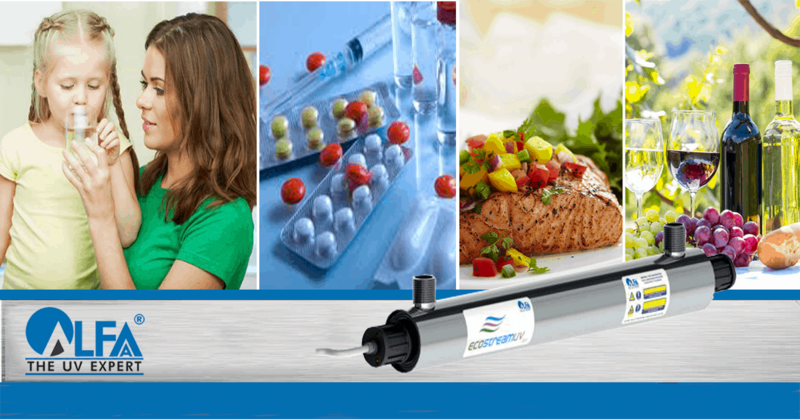 Multinational and homegrown companies like Pfizer and Sun Pharma who churn out life-saving medicines, syrups, and tonics which you have trusted over the years. 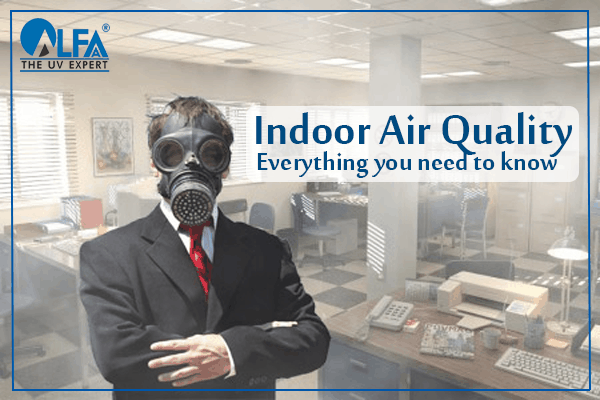 They believe in us because they have the most stringent quality control standards and only the best will do. Or take the Food industry, and think of your favorite food brands; Amul, Pepsi, Dabur, Lays, Britannia or Frooti. 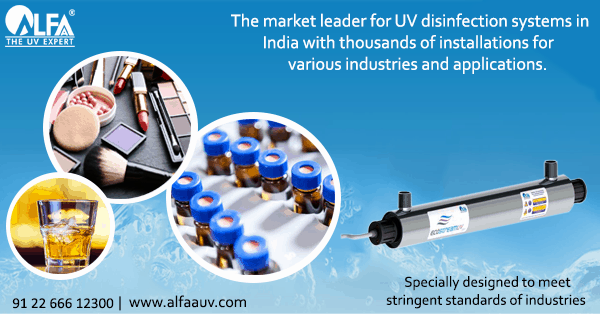 Alfaa UV treated water makes their products safe. 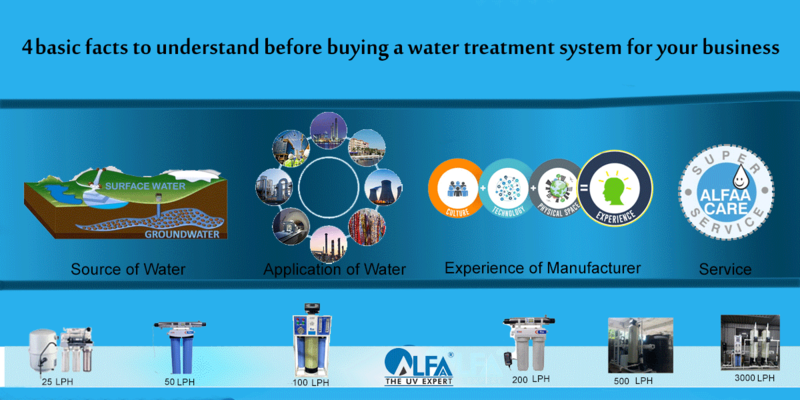 Alfaa purified water is used in thousands of products which are used everyday by millions of people. 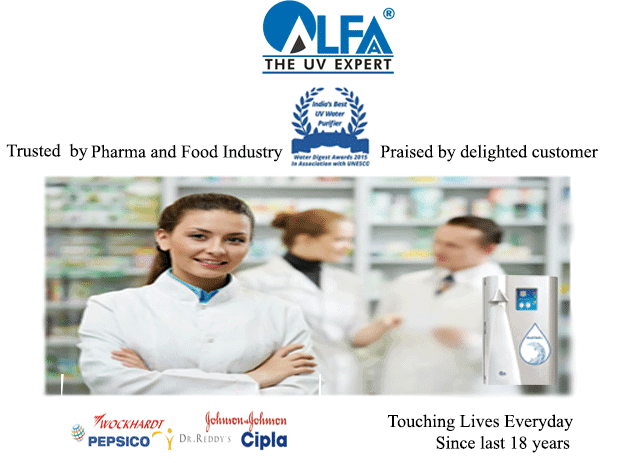 Alfaa touches your life everyday, without your knowing it. 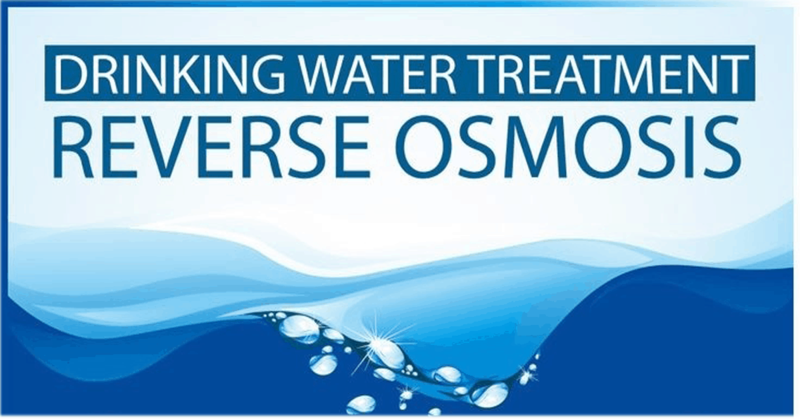 We are a quality conscious player, dedicated to the cause of water purification and a leader in our field. We understand water. We understand purity. If we are not splattered on TV, or all over the newspapers, it because we are not for everyone. We are there only for those who believe in true quality, who believe in the best and understand that brands are built on trust, and trust alone, over 18 long years. The last time someone asked me “How does your brand grow without any TV ads or brand ambassadors?,” I had only one simple answer “because you still trust the opinion of your neighbors, friends, and relatives.” The real-life heroes and brand ambassadors, whose opinion you trust. 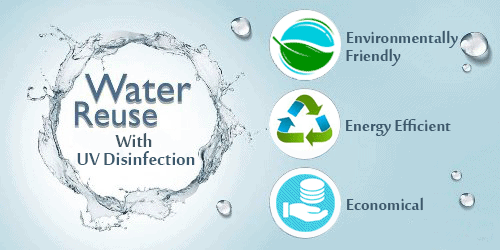 Especially while choosing the home water purifier for your loved ones.